Parts & Power are Caribbean Distributors for the comprehensive range of Vetus marine products and spare parts. Contact Parts & Power for more information on the Vetus marine product range. You can also download the complete Vetus catalogue here. The VETUS range of engines has been carefully developed to provide an engine suitable for every type of boat, as well as supplying everything an owner needs to install their own engine. As important as a reliable engine, stern gear assemblies need to be of the best quality available on the market. Stainless steel prop shafts made of Remanit (Duplex 1-44462) offer maximum strength and corrosion resistance, bronze stern tubes are equipped with a self aligning dual lip seal which eliminate the use of a conventional stuffing box. VETUS has years of experience in developing exhaust systems, continually working to develop systems which operate at a reduced sound level, whilst ensuring that back pressure does not reach damaging levels for the engine. In response to customer requests for a stylish dashboard with a modern appearance, VETUS introduced a line of deluxe instrument panels. In addition to the eye-catching contemporary styling, the use of the highest quality materials enables these panels to withstand any type of weather whilst out on the water. VETUS can truly call themselves specialists in - the fuel system.VETUS supplies tanks in various sizes, with or without fittings, hoses and gauges, with everything from deck filler to engine and everything in between available in our range. Thanks to a sophisticated choice of materials, drinking water stays useable for longer in a drinking water system (DWS) from VETUS. The VETUS range of fresh water systems has been carefully developed to combine a number of valuable functions. The VETUS engineers responded to customer demands by creating the TMW toilet. The main features of this toilet are: a powerful macerator, low water consumption, low noise level, efficient discharge and compact dimensions. In 1982, VETUS designed and introduced the first bow thruster for pleasure boats, which has since become a firmly established concept in the boating world. Following this first model, the development department at VETUS has listened carefully to customer feedback, with VETUS thrusters improving year after year, culminating in the introduction of the quietest bow thruster in the world in 2007. VETUS is a world-leader in this highly specialized field, with a complete range of power hydraulics, from pumps to tanks and propulsion to power packs. To meet your power needs VETUS supplies a wide range of products that will exceed all of your expectations when it comes to electricity on board. Ease of use was paramount in the development of the VETUS steering system, leading us to design a fully adjustable steering wheel which can be easily adjusted to give the ideal seated or standing steering position, greatly adding to the comfort of the skipper. By combining the expertise of VETUS' development department and MAREX' experience in the field of custom made aluminium windows, an outstanding range of hatches and portholes has been created. Besides portholes in all shapes, sizes and styles, both standard as well as custom made boat windows, windscreens, cabin entries and hatches are available. VETUS understands the importance of a healthy on board climate, and has set up a complete range of products to help you accomplish just that. From closable stainless steel deck ventilation for even the hardest conditions, to ignition protected extration ventilators suitable to remove petrol fumes, VETUS offers a complete range. By providing superior anchoring solutions for pleasure boats, super yachts and commercial vessels, Maxwell has earned a global reputation for quality without compromise. A reputation built upon ongoing research and development, innovation in design and a commitment to style that is uparalleled in the industry. 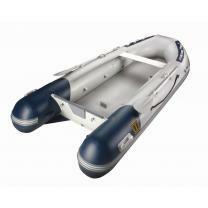 is a diverse range of high quality marine products carefully selected for each boat owner at an affordable price. The range of V-Quipment covers a wide variety of products that meet the needs of every boat owner. The range is divided into a number of different themes such as Comfort, Deck fittings, Fittings, Pumps, Cable Steering, Materials and Lubricants. Contact Parts & Power for more information on the Vetus engine range. Any aspect of the engine requiring regular servicing is always easily accessible, allowing installation and servicing from any position in even the smallest of spaces. This applies not only to the engine, but to the whole range of engine accessories - water filters are fitted with our specially-developed transparent covers to make checking for blockages even easier, and easy-to-open lids give swift access for cleaning. We are proud that VETUS engines have a global reputation for reliability. The Vetus engine range runs from 8.8kW (12HP) up to 170kW (231HP).